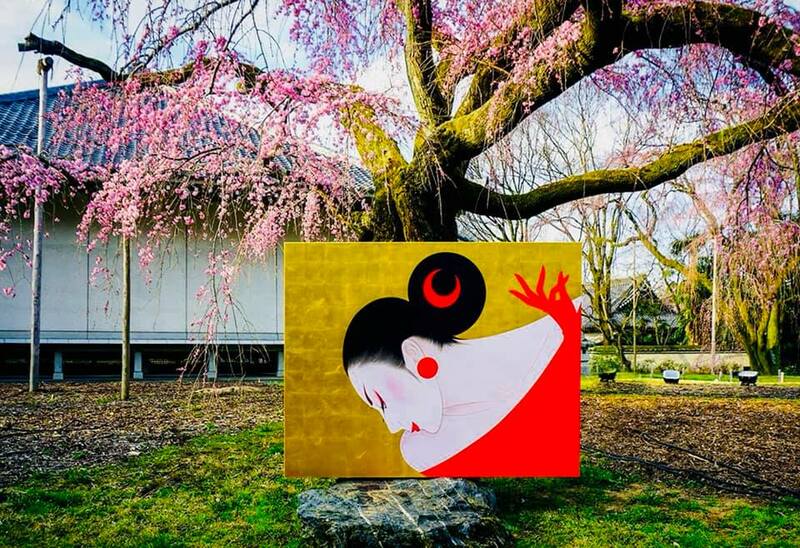 His inspiration comes from many kinds of traditional japanese beauty such as kabuki,ukiyoe,noh,and buyou. He thinks that the movements and hand gestures are very beautiful or graceful. He uses moons in many of his paintings. He belives the moon and women are similar. and it is reborn beautifulty.